Footy season is back and thanks to AGL three lucky readers will get up close and personal at a West Coast Eagles home qualifying game during the 2019 Toyota AFL Premiership Season. 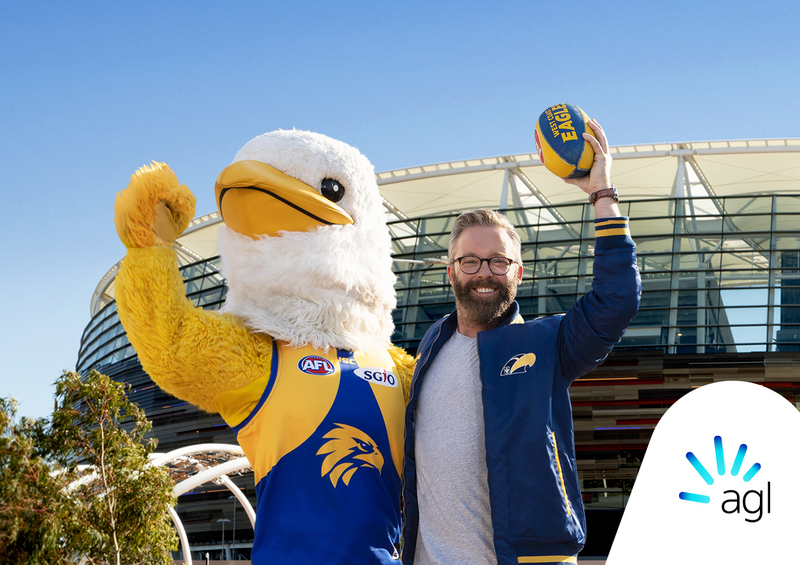 Three lucky readers have the opportunity to experience the West Coast Eagles take on the Western Bulldogs at Optus Stadium, in the unique setting of the ‘Field Club’ on Sunday 2 June. Have a Go News is proud to offer this competition for readers to celebrate our exclusive partnership with AGL, who is a proud premier partner of the West Coast Eagles. Thanks to AGL, the lucky winners and their guests will experience all of the action of the game, while enjoying premium hospitality and a host of other benefits. The winners will enjoy exclusive access within the Field Club in the unique Locker Room. Feel a part of the game as you watch the mighty Eagles players warm up in the glass-walled locker room before you cheer them on as they run on to the field ready to take on the Bulldogs. The atmosphere is frenetic, and guests have the opportunity to watch from centre-wing premium seating on level 1 or stay in the hub of the outside terrace with direct viewing onto the ground and to the players’ bench. The winners will be so close to the action that they will be able to smell the liniment when the players receive a rub down, see the interchange and observe the support staff, including the doctors and physios, throughout the match. This is an opportunity to experience football like never before, cheer on your favourite players, enjoy food and drinks and finish the day off observing the post-game press conference with the coaches, rounding out a unique football experience. It’s an AFL sensory overload and thanks to AGL three lucky readers have the opportunity to win a double pass which is valued at $840each. To be in the draw to win one of three double passes to the Field Club at Optus Stadium to see the West Coast Eagles v Western Bulldogs on Sunday 2 June at 3.20pm, simply email win@haveagonews.com.auwith AGL in the subject line or write to AGL West Coast Eagles Competition c/- Have a Go News PO Box 1042, West Leederville 6901 with your name, address and phone number included. 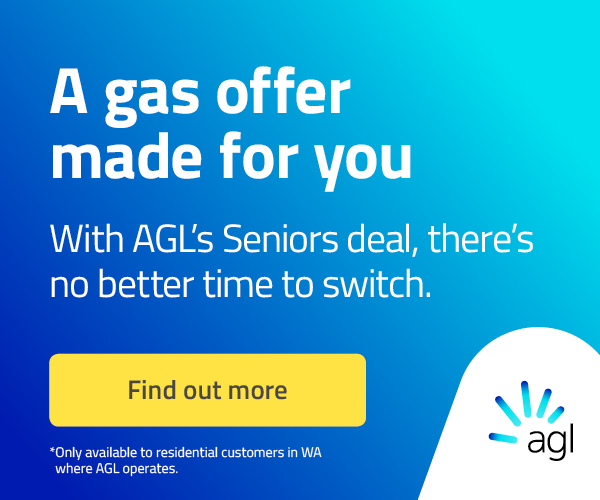 Entrants will consent to be contacted by AGL with special offers. Terms and conditions are below. Competition closes 30/4/2019. Terms & Conditions – Win a double pass to the Field Club at Optus Stadium to see West Coast Eagles versus Western Bulldogs on Sunday 2 June 3.20pm. 1. These Terms and Conditions contain information on how to enter the Win tickets to the Field Club at Optus Stadium. By participating, entrants agree to be bound by these Terms and Conditions. Entries must comply with these Terms and Conditions to be valid. 2. The Promoter is Have A Go News (ABN: 97 425 866 519 )and AGL Sales Pty Ltd (ABN 88 090 538 337) (“Promoters”). a) directors, management and employees (and their respective Immediate Families) of the Promoter; b. the Promoter’s retailers, suppliers, associated companies and agencies who are associated with the Promotion and their directors, management and employees (and their respective Immediate Families). c. Immediate Family means any of the following: spouse, ex-spouse, de-facto spouse, child or step-child (whether natural or by adoption), parent, step-parent, grandparent, step-grandparent, uncle, aunt, niece, nephew, brother, sister, step-brother, step-sister or first cousin. 4. The Promoter is not responsible for any lost, late or misdirected entries. 5. The time of entry will be deemed to be the time at which the Eligible Entrant’s registration was received (as determined by the Promoter). 6. The Promoter reserves the right, at any time, to verify the validity of entries and Eligible Entrants (including an entrant’s identity, age and place of residence) and to disqualify any entrant who tampers with the entry process. Failure by the Promoter to enforce any of its rights at any stage does not constitute a waiver of those rights. 7. The draw will take place at 4.00pm (WST) on 12 May 2019 at 137 Edwards Street, Perth by the Promoter (Have A Go News). The winner will be determined by a random draw of all eligible entries. 8. All entries must be received by 5.00pm, 30 April, 2019. 9. The results of the draw is final and no correspondence will be entered into. 10. There will be three prize draws awarded with a total value of $2520. Values referred to in this clause are based on the recommended retail value at the time of publishing. The Promoter accepts no responsibility for any variation in the value of the prizes. 11. The Promotion commences at 9:00 AM WST on 08/03/2019 and closes at 5:00 PM WST on 30/4/19 (“Promotional Period”). 12. To receive 1 x entry into the draw enter online at Have A Go, www.haveagonews.com.au/, or post coupon to Have a Go News, PO Box 1042, West Leederville 6901 or email win@haveagonews.com.auwith AGL in the subject line. For the entry to be eligible, the full name, email and contact telephone number must be entered. 13. The final draw will take place at 137 Edwards Street, Perth at 4.00pm WST on 15/5/2019. The first 3 entries drawn will each win 1 x double pass to a West Coast Eagles Home Game – Versus Western Bulldogs – Sunday 2 June 2019 3.20pm. 15. The Promoter reserves the right to redraw in the event of an entrant being unable to satisfy these promotion terms and conditions or forfeiting or not claiming a prize within 3 days of being notified. If a prize remains unclaimed at 11.00am four business days after the date of the original draw, a second draw will be conducted by the Promoter at 2.00pm four business days after the date of the original draw in the same manner and at the same place as the original draw, subject to any written direction given under applicable law. Any winner will be notified in writing by email within 2 business days of the draw and their name will be published online at www.haveagonews.com.au2 business days after the draw for a period of 28 days. b) reserves the right (subject to any applicable law) to cancel, terminate, suspend, or modify (including by providing an alternative prize to the same value as the original prize) this promotion. 17. The ticket is valid for the promoted game only and is non-transferable to any other game. 18. The Prize does not include transport between the residential address of the winner and the Optus stadium. However, your ticket does include free transport of Transperth bus and train services 3 hours before and after the game. 19. Each prize must be taken as stated and no compensation will be payable if a winner is unable to use the prize as stated. Prizes are not exchangeable or redeemable for cash or other goods or services. A prize cannot be transferred to any other person, unless expressly allowed under these terms and conditions or otherwise agreed to by the Promoter. By accepting the prize, the winner accepts the conditions of use of that prize. 21. To the extent permitted by law, the Promoter (including its officers, employees and agents) will not be responsible for any acts of god, acts of terrorism or war (declared or undeclared), state of emergency, disaster, technical failures, security breaches, tampering, unauthorised intervention, fraud, computer viruses or other events beyond the Promoter’s control which affect the proper or reasonably anticipated conduct or administration of the Promotion, or prevent the awarding of a Prize in accordance with these Terms and Conditions. If such an event occurs, the Promoter reserves the right to cancel, terminate, modify or suspend the Promotion, subject to any written directions from a relevant regulatory authority. 22. The agreement which comes into force under these Terms and Conditions is governed by, and must be construed in accordance with, the laws in force in Western Australia, and the Promoter and any consumer who participates in the Promotion submit to the non-exclusive jurisdiction of the courts of that State in respect of all matters arising out of or relating to these Terms and Conditions, and the performance or subject matter of the Promotion.